It has to be said. 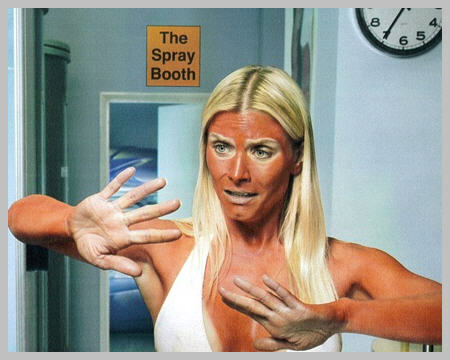 There are far too many spray-tans-gone-wrong being flaunted at Christmas parties right now. I’m not dissing spray tans as such, but when they crossover into the fluro-orange Ompa Loompah shade, it’s not a good look. Sure, it’s better than signing up for skin-cancer inducing solarium sessions or frying yourself in oil under the sun, but I’d still rather look at other solutions. One of my favourite options right now is to build up a natural looking tan by using a moisturiser that also doubles as a gradual tanning lotion. 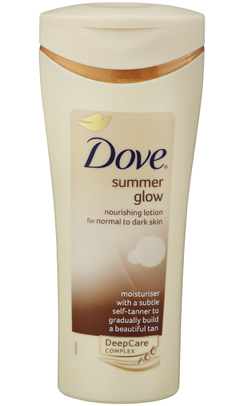 As far as I’m concerned, the best one on the market is Dove Summer Glow. It doesn’t streak, nor does it leave an overpowering, acrid ‘fake tan’ smell hovering around. But I do buy the one labelled ‘medium to dark skin’ because I found ‘fair to medium’ just didn’t cut it. It’s also a reasonably priced product. I try to buy the larger size with a pump dispenser as it’s more cost-effective and easier to use, but it seems harder to come by these days with supermarkets constantly cutting back on many of their product ranges. But whatever shape it comes in, the end result is a more natural looking glow (‘scuse the pun) than a spray tan, which is more in keeping with fashion trends right now. Take a look at any fashion mag and you’ll find the overly-bronzed bathing beauties of yesteryear have swum off into the sunset. But an even better tip for great looking tanned legs is to buy a good quality pair of stockings. That way you get a smooth tone, no streaks and if you’re in-between leg waxes – a decent camouflage as well. I KNOW this is a good tip worth sharing with you because it’s the fashion question I get asked the most, when people (mostly girls) discover my legs are not my own! Write this down – you won’t regret it! Getting the colour right is essential. So I’ll say it again. Remember – JABOU!!!! This is the closest looking colour to a natural tan you’ll find anywhere. 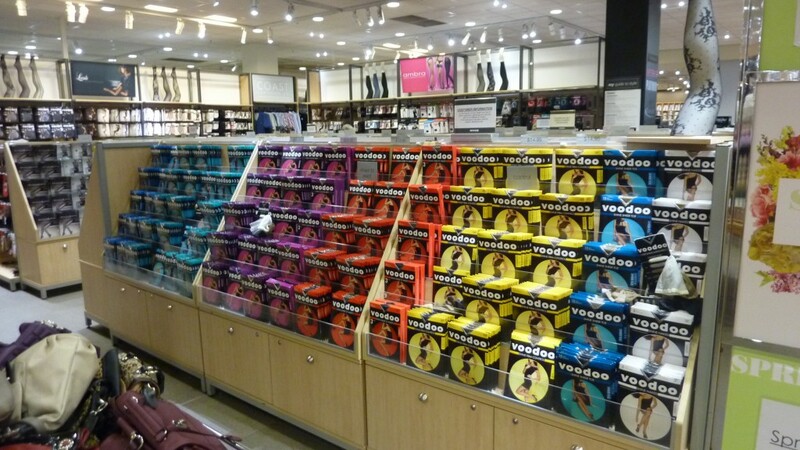 Voodoo Hosiery usually take up a decent amount of the shop floor at most major department stores across Australia. But there are so many different varieties, it can get confusing. Here’s what I’ve discovered after trialling many of them. And they’re not cheap, so hopefully this will prevent you from making the same mistakes I’ve made. For those of you wanting to wear open-toe sandals, this is still possible. 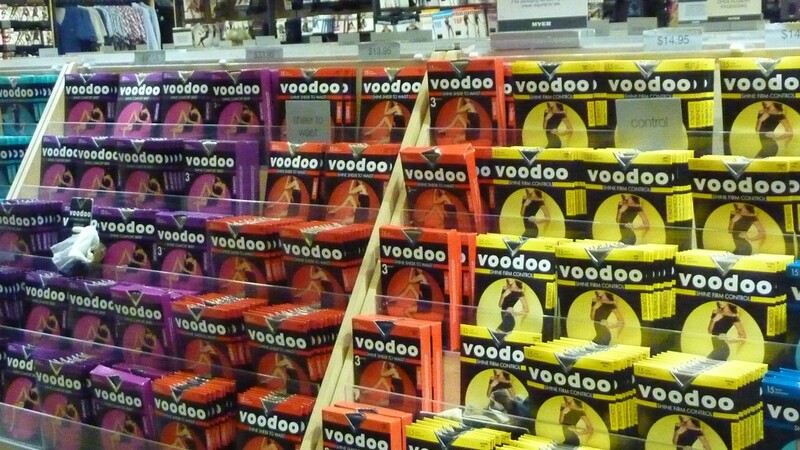 There are two varieties of Voodoo stockings to pick from. One is the Sheer Toe Pantyhose, which I prefer as only the pickiest of fashionistas will be able to notice, but for those who consider stockings and open-toe sandals a downright fashion crime, there’s also the open-toe stocking variety – Glow Toeless. This has an opening at the end of the stockings, with one stitch in place to hold the fabric around your big toe. It can work, but generally I find these a little uncomfortable, plus the line where the stocking ends has to fit exactly with the line of your sandal. And the Glow Toeless variety comes under a different colour scheme (God knows why… ) so they don’t come in the cherished Jabou colour. Golden Glow would be the next best shade, but it’s still not as good as Jabou. And for those of you who love a bargain and on-line shopping, yes, I have checked out the price comparisons. There are many on-line options, however Stockingsonline.com.au seems to have the broadest range. 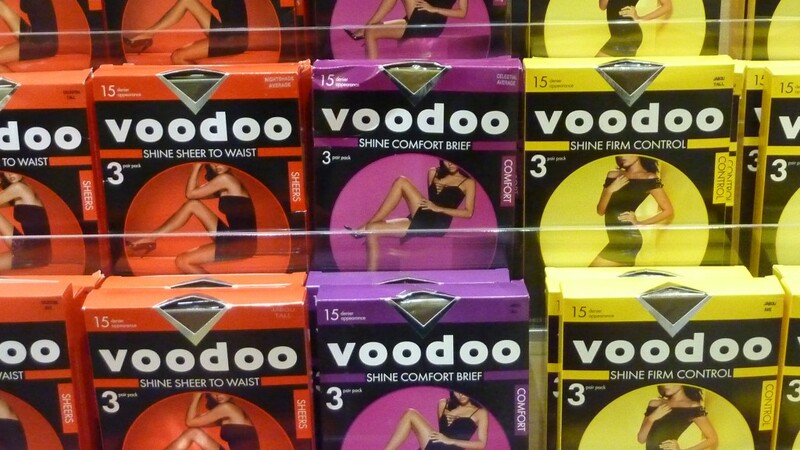 BUT, while their Voodoo hosiery is slightly cheaper, I couldn’t find ONE PAIR that came in the Jabou colour. Sorry… Guess you’re going to have to make that trip to your local Myer or David Jones after all! But DO let me know if you find a cheaper way of tracking down the one and only Jabou. Especially in the Shine Firm Control yellow pack. Thanks.